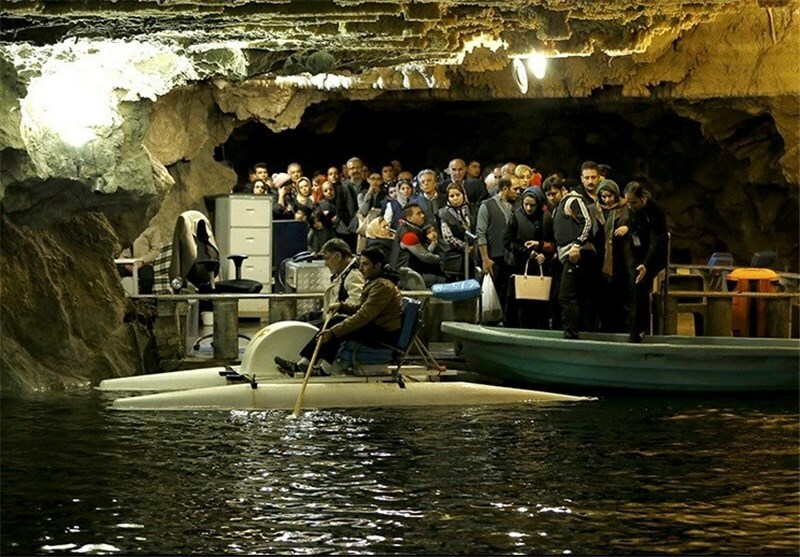 The Iran land is scattered with caves exceeding 2500 in number. 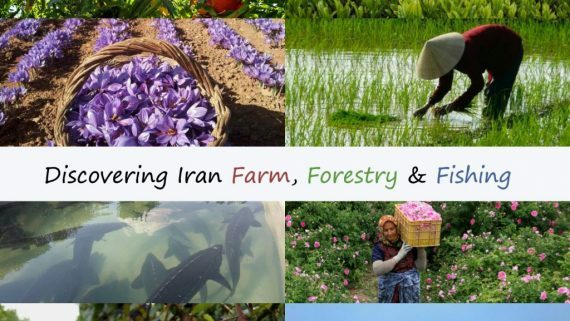 Major geological processes have endowed the bowels of the Iran earth with true monuments to nature, filled with charm and mystery. 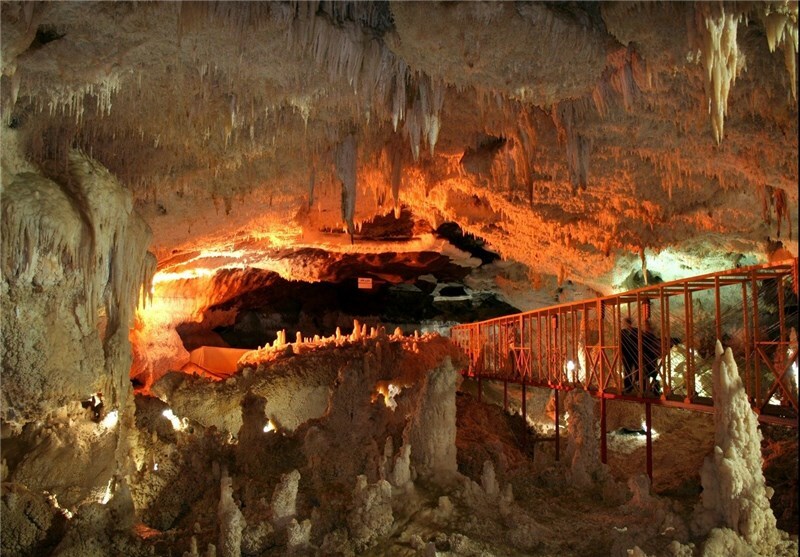 Some of the caves are renowned all over the world for their significant anthropological findings. 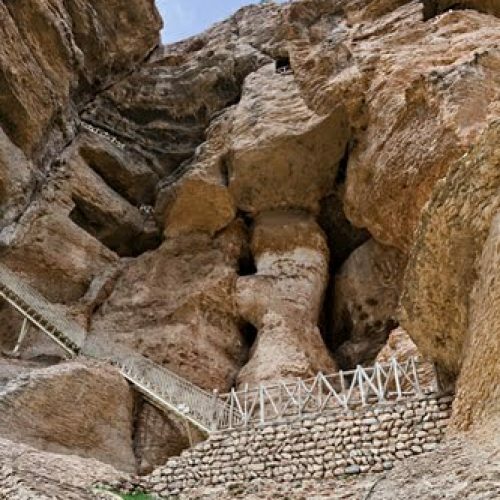 Human history has been linked to these mystical caves. 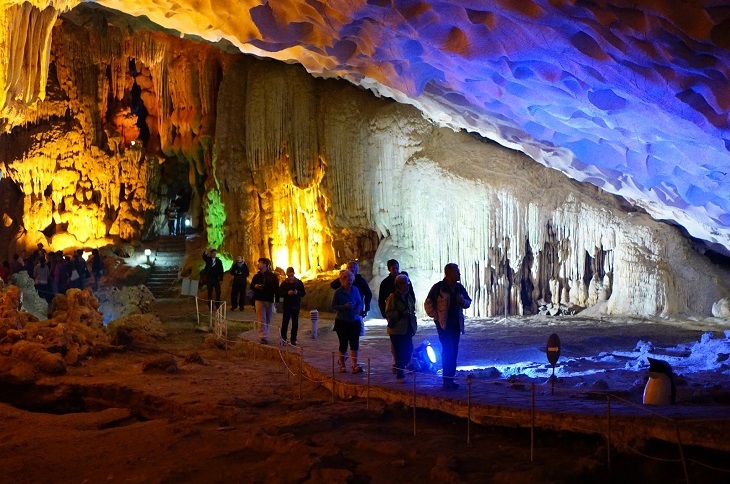 Iranian Caves like Ali Sadr Cave, Kerafto Cave, Kateleh Khor Cave, Sangtrashan Cave, Ghoro Ghale fascinate visitors with their inner, complex decoration. 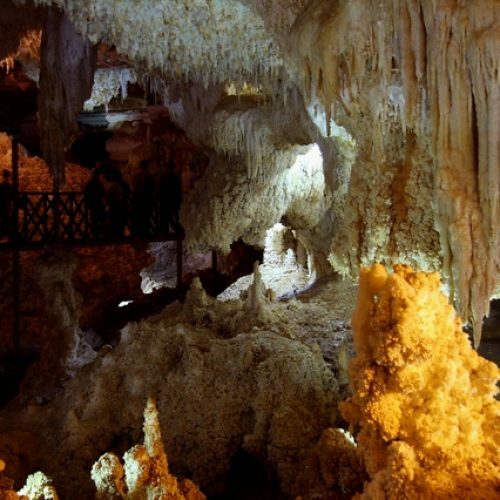 Stalactites and stalagmites of incredible beauty, an ‘architectural’ structure that forms halls similar to those in royal palaces, underground waters, crystal-clear and mystical, create unparalleled underground landscapes. 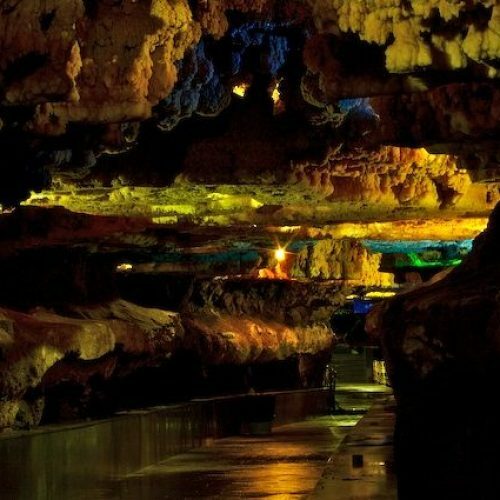 Apart from being one of the special sights to see when travelling around this country, a visit to Iran cave is a deeply mystical experience. 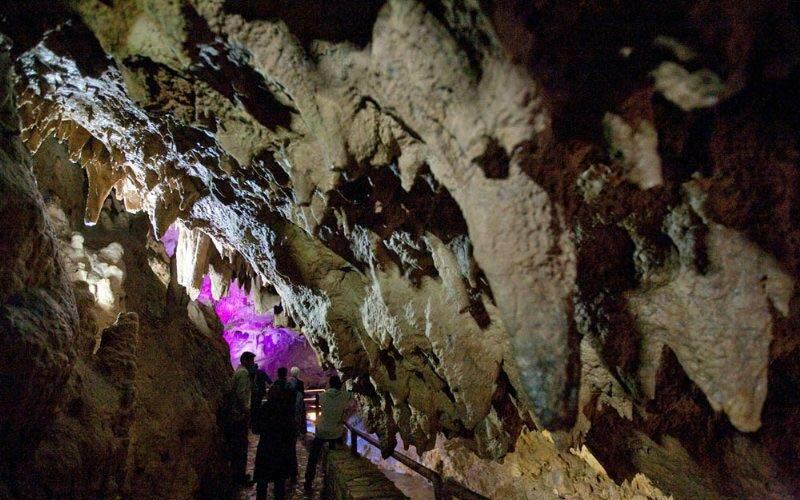 When you enter a cave you may have a strange feeling. 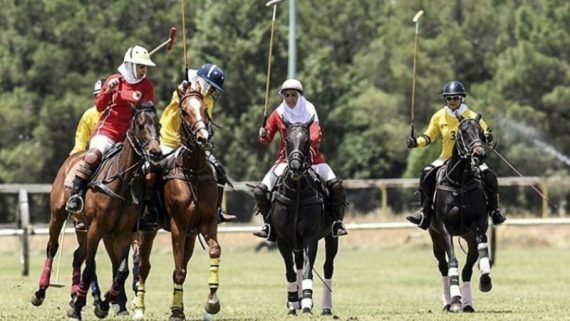 This is to be expected, because you have entered an environment that is completely different from life on the surface of our planet. 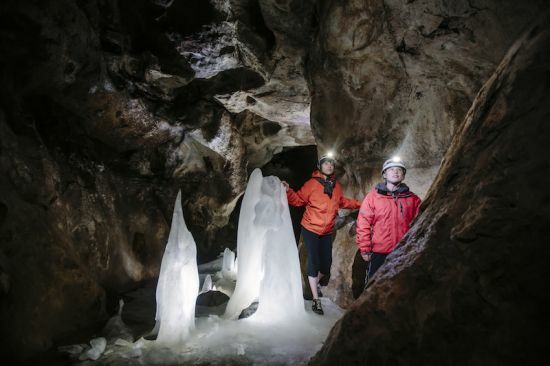 Caving is a physically demanding. 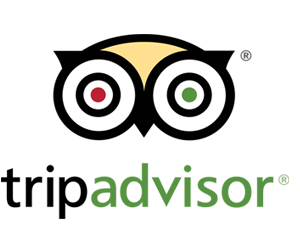 You should be in reasonably good shape. 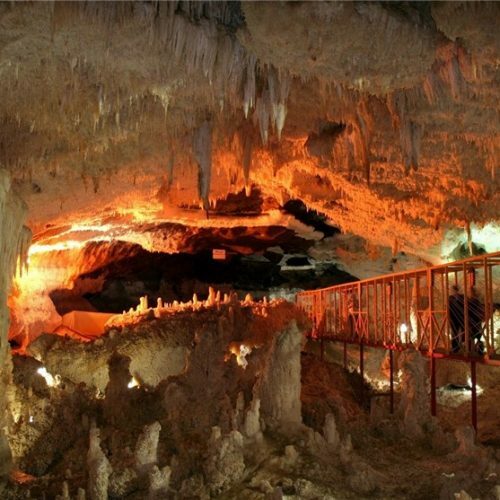 In the following you find further information in details regarding the must-visit caves in Iran, as the longest and largest caves in the world. 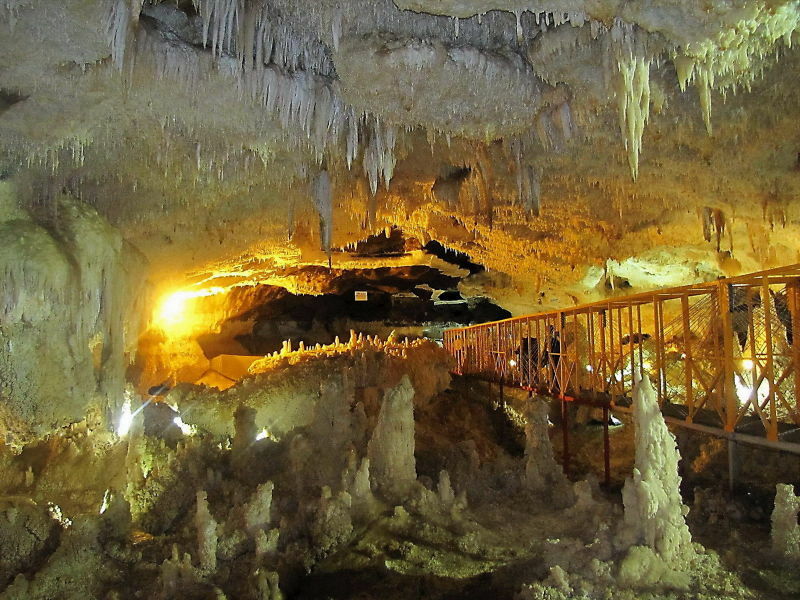 Alisadr Cave in Hamadan province is a notable example of wondrous caves in Iran. 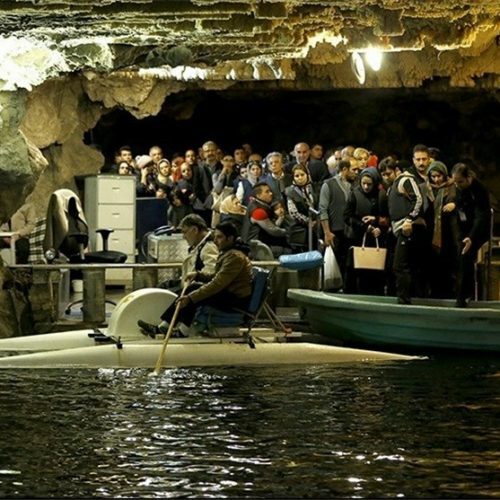 Ali Sadr Cave is one of the rare samples of water caves in the world and a natural attraction in Iran. 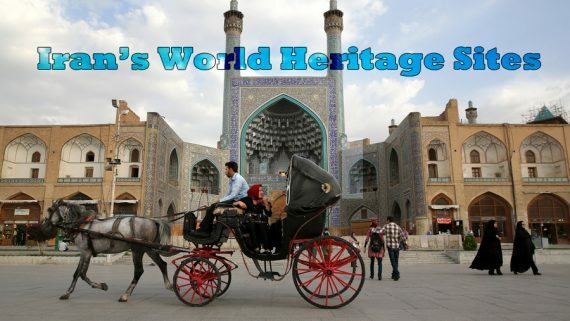 It is located 75 kilometers to the northwest of Hamedan. 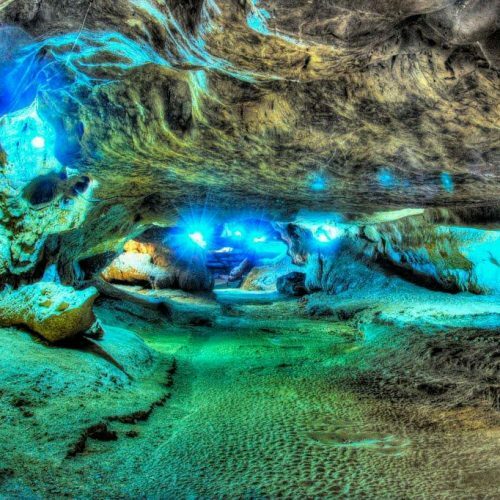 This cave is one of the strangest natural sights and probably the only water cave in Iran. 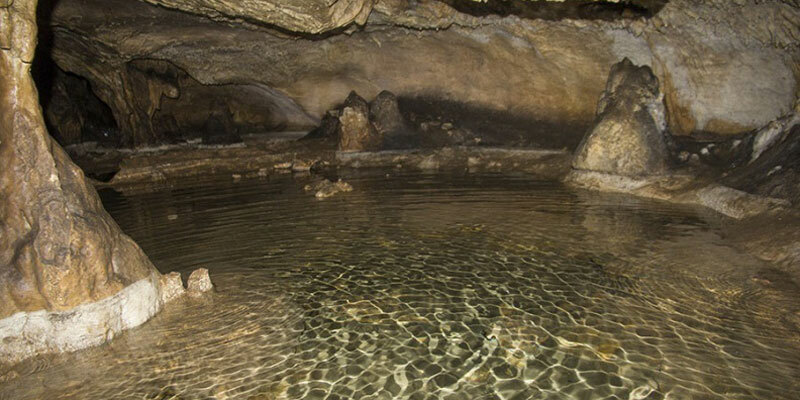 In fact, it is an endless network of caves full of clear water. 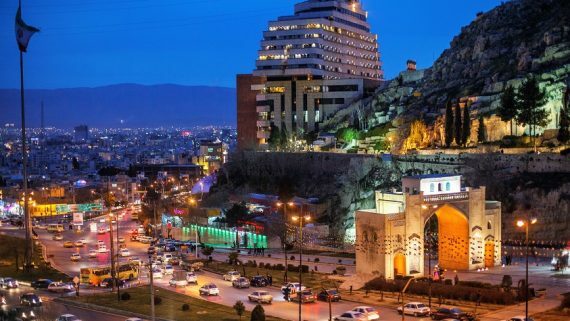 Historically, the Alisadr Cave and two other nearby caves were used by Safavid army as secure refuges. 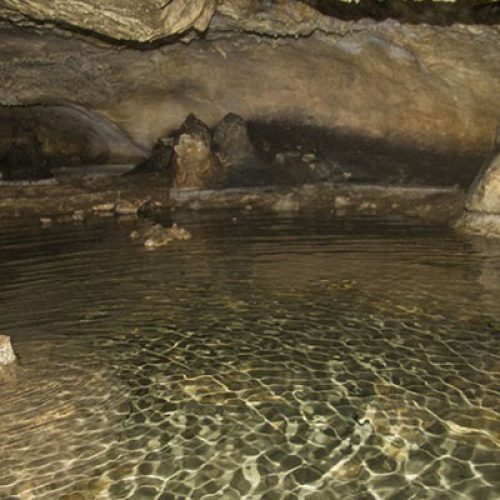 There are no living creatures in the cave’s water and it is not drinkable. 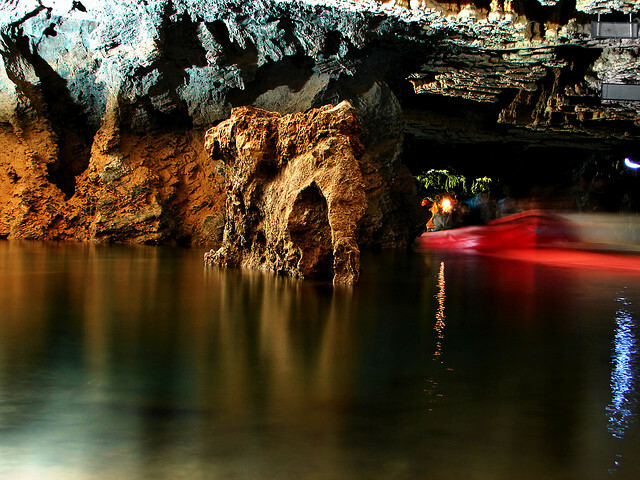 The cave has a river flowing through it and most travel through the cave system is done with a boat. 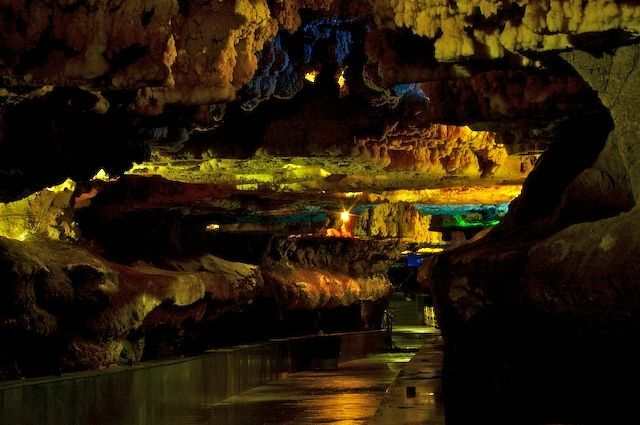 The height of the cave’s ceiling in some parts is about 10 meters. 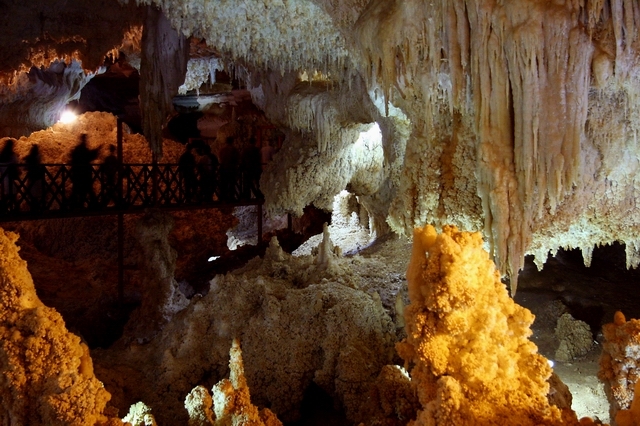 It is covered by pure calcium carbonate and its combinations. 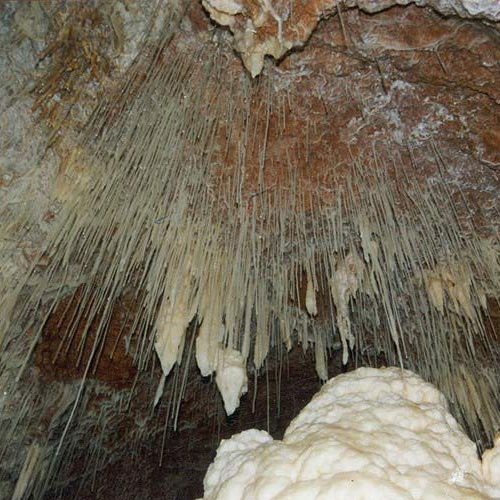 These sediments form different types of stalactites on the floor and waterless areas of the cave. 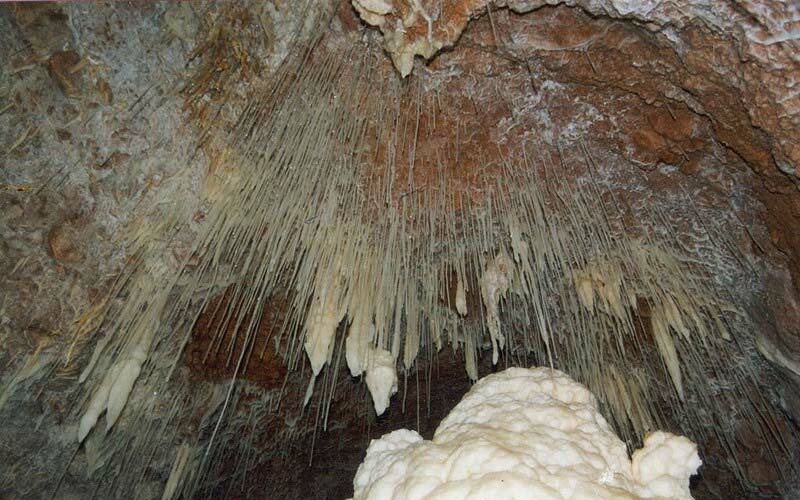 There are also a number of attractive stalagmites. 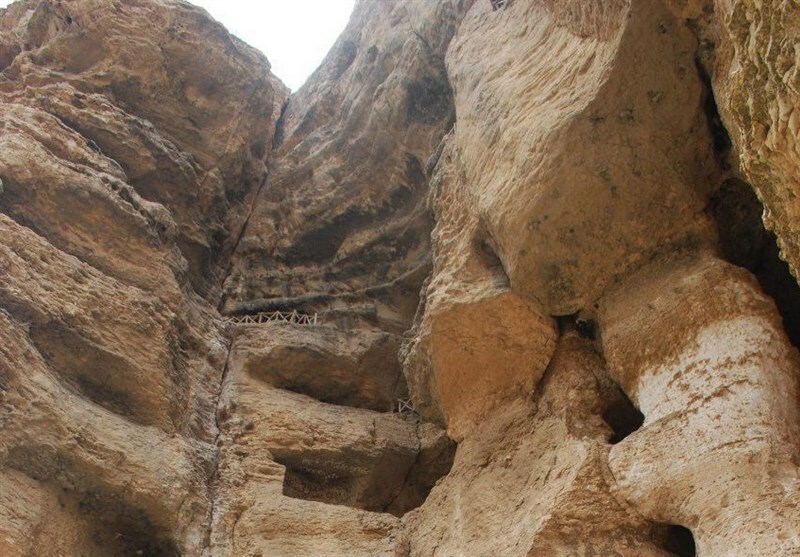 A veteran mountaineer discovered less than a century ago, the formations in Kataleh khor Cave are said to date back to the Jurassic period. 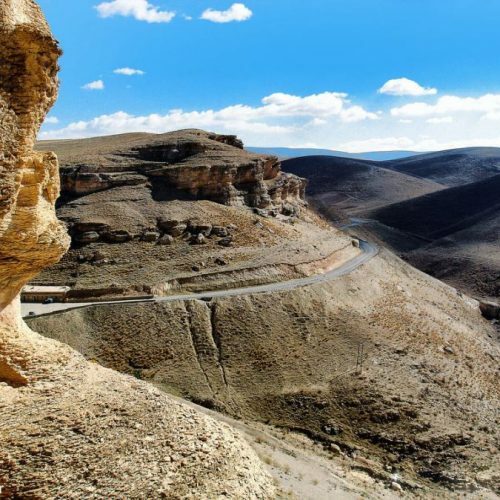 The name, Kataleh Khor, means “mount of the sun’’ .It is located at 165 Km southwest of Zanjan and though it is less visited than Ali Sadr Cave, the two are thought to be connected. 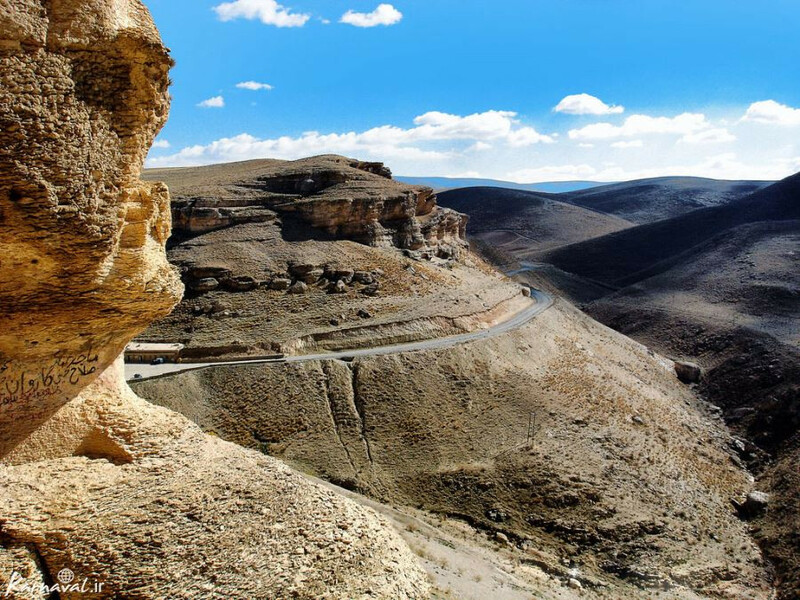 The road from Zanjan to Khataleh Khor passes Soltaniyeh. 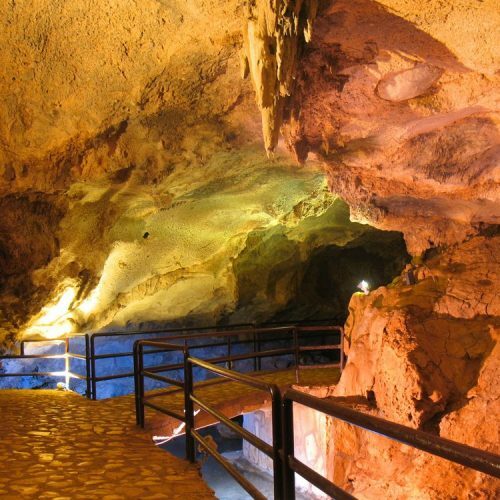 The structure has been constructed in the vicinity of the cave to host visitors. 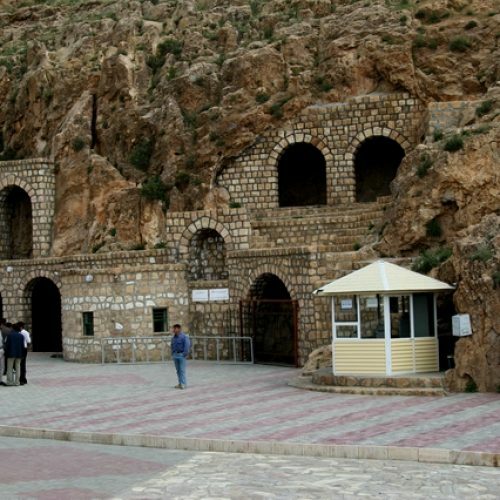 The entrance to Kataleh Khor resembles a crevice at the beginning and culminates in a triangular arch. 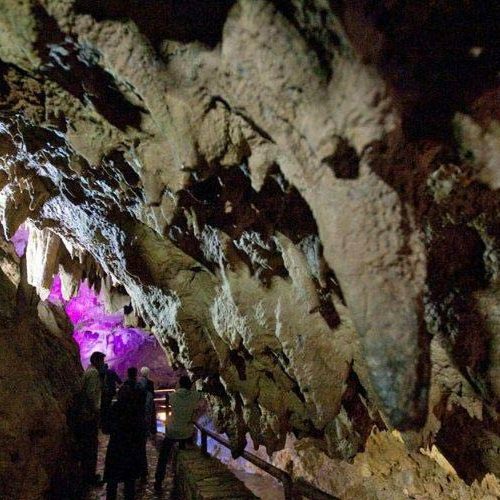 The cave has flat walls with high ceiling. 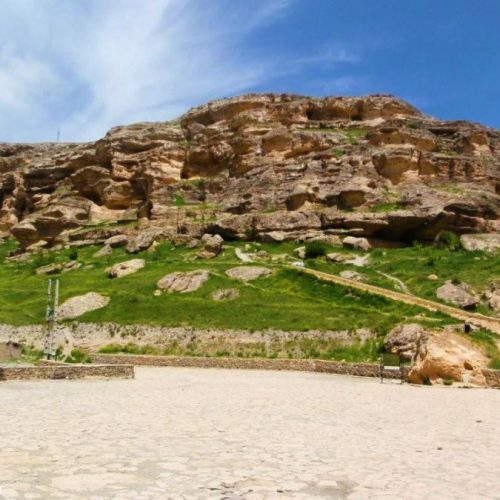 The Natural-Historical complex of Karafto is located to the North of Kurdistan Province, about 72 km to the northwest of Divandarreh, to the east of Saqez Township, in an area called Havatu. 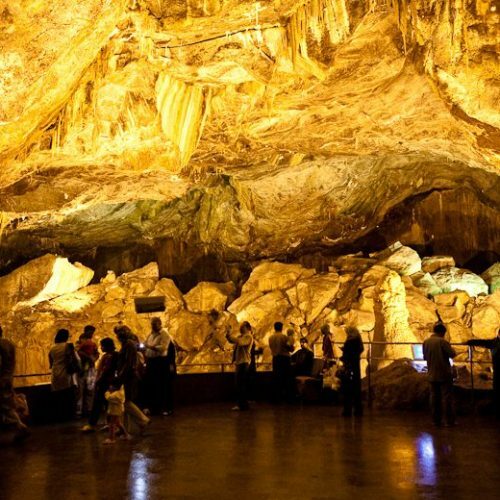 Karafto cave consists of 2 parts/sections, natural part and carved part; the caves were formed naturally, but were modified by inhabitants over the centuries. 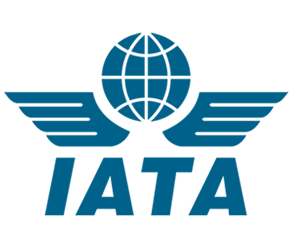 Karafto was also regarded as a temple. 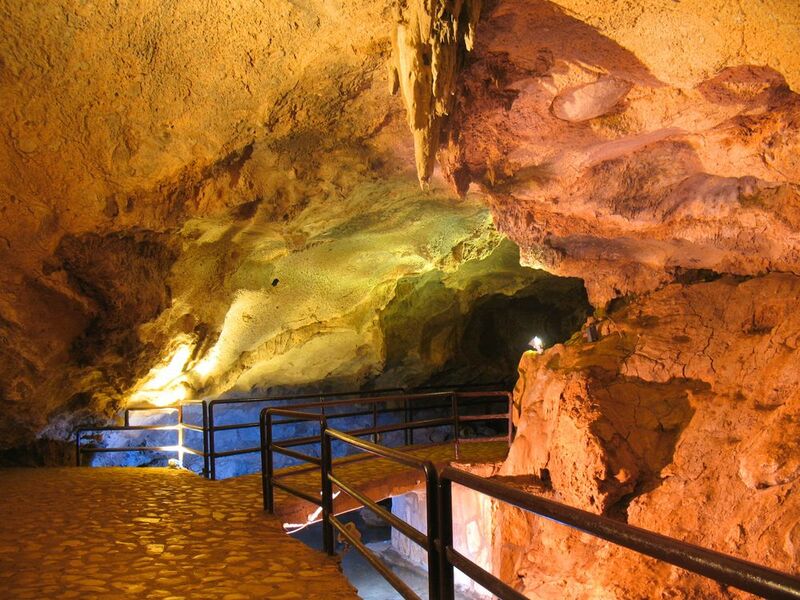 It has vast spaces and corridors and some effects of primitive human drawings have been also found here. 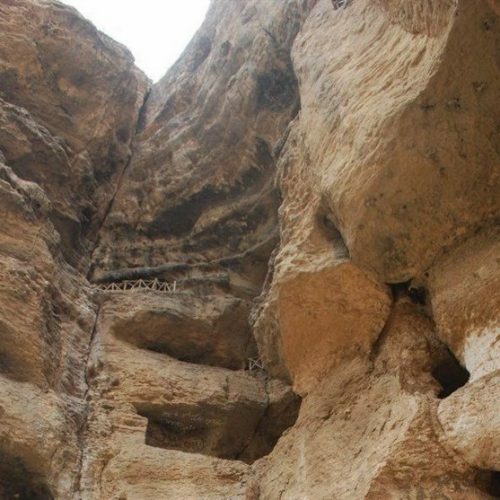 Today, the caves are also significant for a Greek inscription found in them, as this is one of the few examples of such a script preserved in situ in Iran. 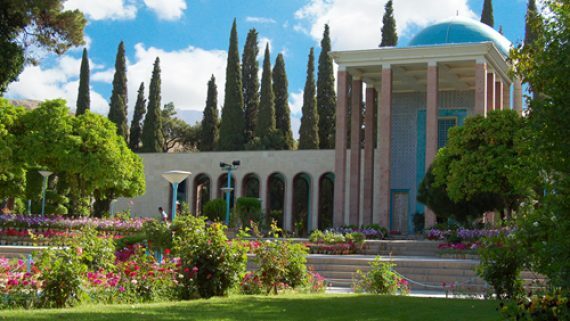 There are also various human, animal, plant and geometric patterns/motifs, on the walls of some rooms and corridors of all 4 floors, which have been the subject of research and investigation of many researchers. 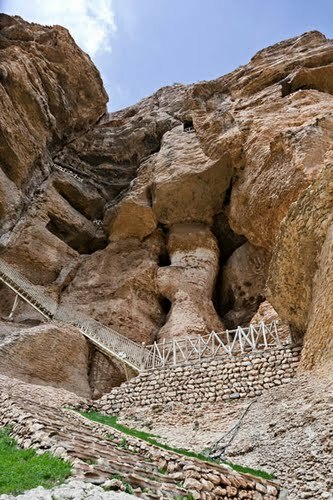 The Caves of Karafto are only accessible via a common entrance found on the southern side of the mountain. 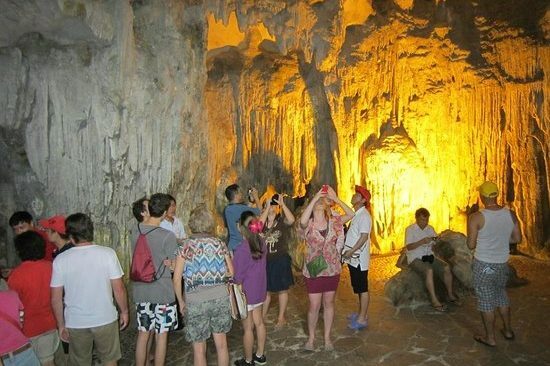 In present times, the Caves of Karafto have become a tourist attraction. 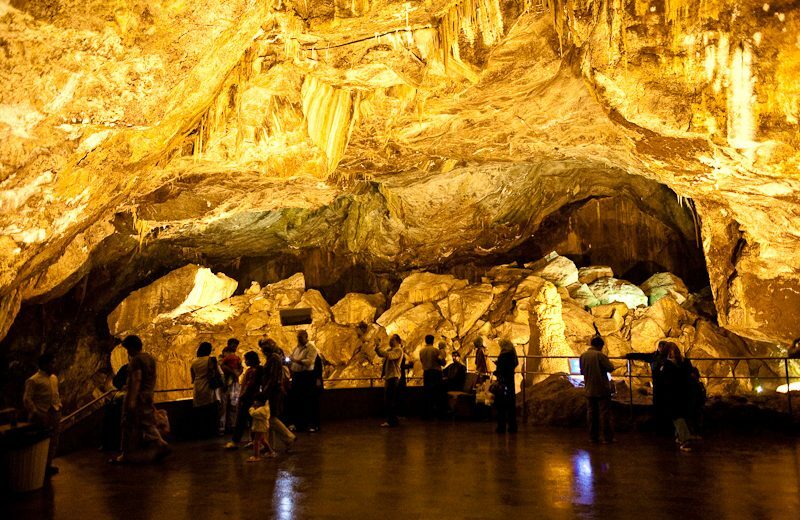 In January 2015, it was reported that the caves were to be inscribed on UNESCO’s World Heritage List. 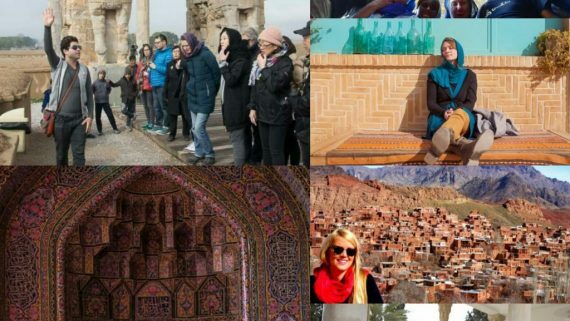 It was also asserted that with this prestigious status, more tourists, especially foreign ones, would visit the site. 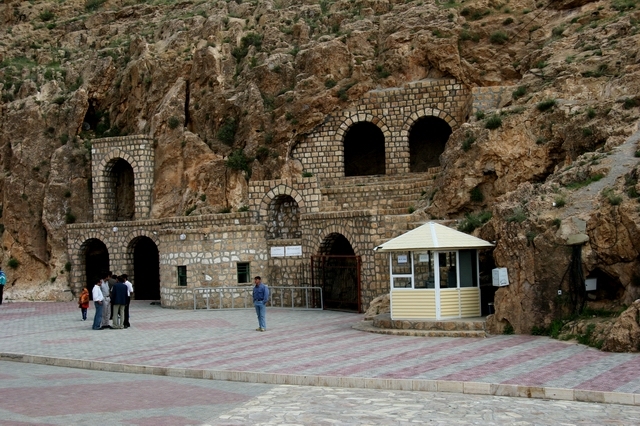 This historical cave is located in near Ravansar county in Kermanshah province. 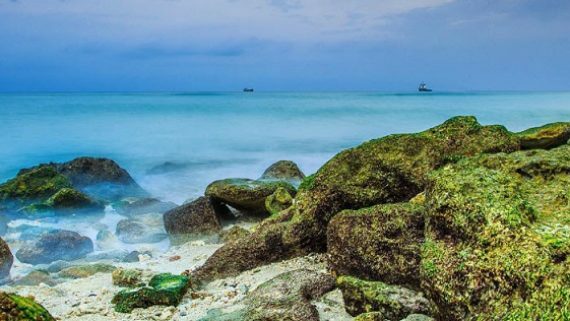 Its history backs to 65 million years ago. 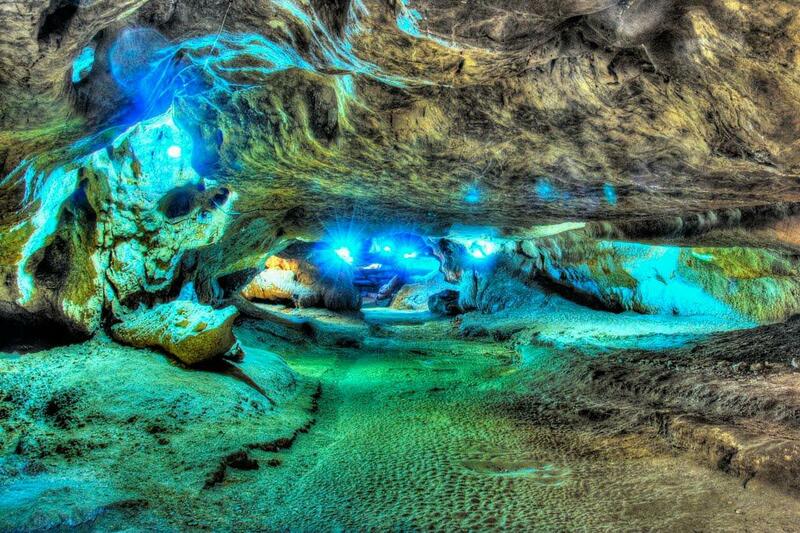 This ancient cave has been registered as one of the seven national natural works of Iran. 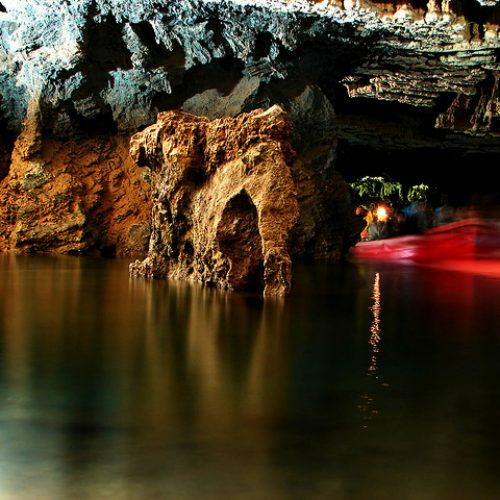 This cave is the biggest subterranean water complexes in Asia. Inside the pond, there is a curtain that looks like a soft note sounded with the touch of each of these candles. 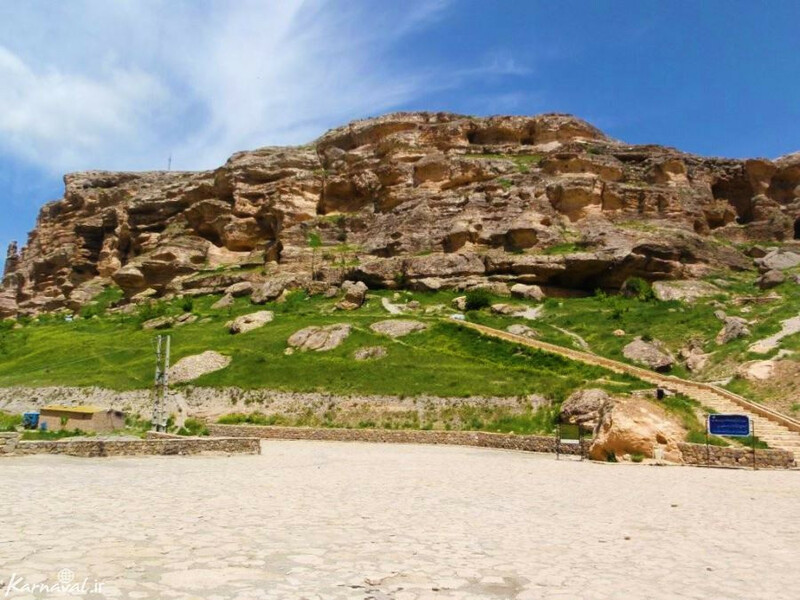 In addition to its natural beauty, Ghori Ghale cave is historically and archaeologically important as it has been discovered in this amazing cave, some of which belong to the late Sassanid era and the time of Yazdgerd III. 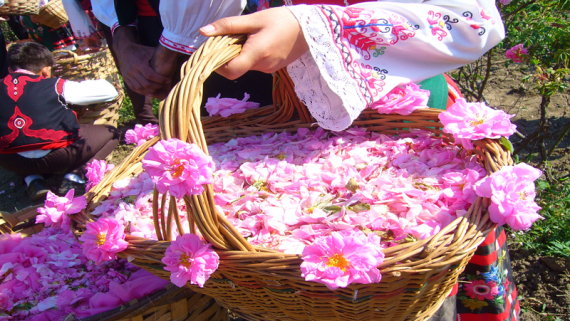 Its water depth is about 1 meter and a half to two meters, and in some parts it reaches a depth of 3 meters.